This is a blog mostly devoted to my passion for Indian films with a style most commonly known as “Bollywood.” Technically speaking, though, “Bollywood” refers to the Hindi film industry, while I might also sometimes focus on Tamil films, Telugu films, Malayalam films, Punjabi films, Urdu films, and any other cinema that follows the same general traditions, which include a lot of great music and dance. I’m also focusing on music and dance all by itself. Sometimes, I might go outside of the films to post about cultural events – especially dance events – that happen on a live stage or in some festival on the street. I am particularly fond of bharatanatyam, so I’m most likely to post about a bharatanatyam event. But I love all Indian classical dance, a lot of Indian folk dance, and some more modern dances I see coming from that area of the world. I suppose that I’ll tend to go for traditional or semi-traditional dances that most people these days would consider to be respectable, though some of that dancing certainly wasn’t considered so 75 or 100 years ago. However, I’m not averse to posting something that might not fit such criteria, either. So, don’t be surprised if I post a clip of a contemporary Pakistani stage mujra (which I have been doing now and then since this blog’s infancy) or some techno-fusion kind of number that classical enthusiasts will look down upon. It’s all good – as long as I like it, for whatever reason. I am not going to say that I watched all kinds of movies, because movies in general didn’t even become big in my life until the last couple of years. I didn’t really care about movies that much until I became preoccupied with Bollywood and Kollywood movies, well into my 40s. When I started seeing those movies, I fell in love with them. As a lot of people might notice, most of my posts about Indian movies cover movies from the Golden Age and maybe slightly earlier – mainly, from the early 1940s to the early 1960s. That is because I truly love the films from that era, above everything else. Once in a while, though, I will talk about a movie from more recent times. I’m actually more likely to talk about a (more) recent Tamil movie than a Bollywood one, probably because the Tamil movies have tended to retain more of the traditional music and dance that I came to love so much in the older Indian films. In any event, whatever the explanation, my choices are going to be obviously arbitrary, guided by my own particular tastes, which some people, admittedly, might find a bit strange. I’m also going to be talking about political matters occasionally, especially when I can connect to politics through the music and films. 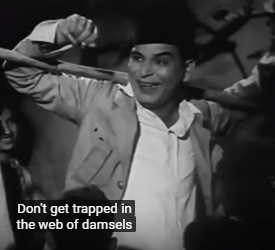 Probably, one of the reasons I like ’40s and ’50s Indian movies so much is because they are often very political, and I can agree with much of their politics. At the time that I am writing (and revising) this “About” page, I myself am suffering from some of the consequences of recent social events happening here in the U.S. as well as globally. We are in an economic crisis that is not going to end anytime soon, especially not for regular people who have to struggle to make ends meet. Despite the myths that we’ve been bombarded with here in the U.S., especially through our mass media and popular culture, there are huge class differences (even here – and much more so here than in places like Western Europe), and life for many people is a major struggle, indeed. In many old Indian films, you can find a great awareness about the major struggle that many people must go through (as many people in India did have to struggle, indeed, at the time that these films were made), and you often will see attempts to deal with that struggle in a social, collective kind of way. There also is a strong recognition that people aren’t always the masters of their own destiny, and therefore should receive some sympathy, rather than blame, for their misfortunes. (While some people might complain about seeing too much of the poor=good/rich=bad stereotype, I find that preferable to latter-day “free market” myths through which billionaires are made to look like heroes or saviors.) And I think that some of these attitudes which I’ve found in the old Indian movies have contributed a lot to my fondness for them. Additionally, I appreciate the frequent emphasis on high moral principles. Certainly, there were some major social drawbacks in many of these films back in the day (e.g., some westerners will be bothered or confounded by some of the attitudes toward women), but compared to many of the films from contemporary Hollywood and those industries trying to emulate it (including, unfortunately, a good chunk of contemporary Bollywood), I find much of the social content in these old films to be very refreshing – which is just another reason for me to love them, in addition to the music and dance (as I may have mentioned) and, of course, the beautiful actresses. By the way, by ”Indian,” I’m referring to origination from the area commonly known as “India” before partition(s) <—— Just a minor correction. Western Parts of Pakistan (NWFP and Balochistan) which constitute 60% land area and approximately 30-35% population are not Indian and share very little in common with India and its culture. It is true that those parts came under British rule, but culturally, geographically they are part of greater Iran and related to Iranic people in general. Check the definition of greater Iran or Iranic people on wikipedia. I know it doesn't matter. But that is a common misconception that "Pakistan was part of British India, hence all Pakistanis are Indians". Thank you for the information, Mr. Jinx. Actually, I will probably revise the “About” page, and I’ll keep that in mind. However, this blog is focused on a certain style of film (as well as music), and would like to convey the fact that film from Pakistan has this very similar quality to film from India, which people from outside the region would often identify as “Bollywood.” Having seen some clips from Pashtun films as well, I think even those show a strong relationship. And, of course, most films from the Pakistani film industry (“Lollywood”) are made in Urdu or Punjabi and are very much connected to Indian traditions. Yeah, you are right about Cinema. Pashto film industry follows the same pattern as Lollywood and Bollywood (song and dance sequences). I was reading somewhere that mainstream Iranian Cinema (not the post-revolutionary Iranian Cinema) and to some extent Arab Cinema (Egyptian Cinema) used to copy Bollywood productions too with song and dance sequences in their films. If you have traditional music from Pashtun and Baloch areas, you will notice that it is quite different from Indian music. Also, there is a difference between people who are Iranic and people who claim Iranian heritage. The latter category (Iranian or Afghan heritage) might get confusing because there is a tendency among some Indian and Pakistani muslims to “claim” Iranian or Arab heritage which might or might not be true (like hundred of years ago). Even if it is true, they have been living in India or Eastern parts of Pakistan for so long that they are “Indianized” culturally, linguistically etc and that includes people like Meena Kumari, Kamal Amrohi and some other Lollywood/Bollywood stars. If you ask me, I will consider them Indians even if they have Iranian heritage. In my previous post I was talking about those Pakistanis who are “Iranic” (30-35% Pakistani population) i.e. part of Iranian plateau, speak Iranian Languages (Dari, Pashto, Balochi, Persian etc), follow Iranian Culture (Nourooz etc) and have very little in common with India. you might know about this already but user tripmonk0 has dozens of dance and related clips on his page, also some music. you may remove this message as this is only sent to you cos i don’t have an e-mail where to contact you. thought you might enjoy this, even if it is not film-related. Thanks for the recommendation of Tripmonk’s YouTube site. I used to have it listed in my links here, then I let it drop a while back, I think because it was suspended for some time(?) or maybe because Tripmonk didn’t post for a while and had veered away from films. 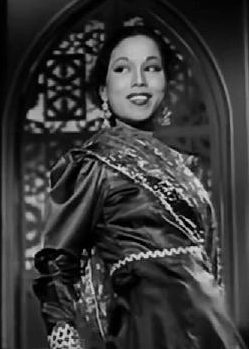 I started looking at that site again when Stella_1 recommended a Vyjayanthimala/Gopi Krishna clip that Tripmonk had posted and I also saw some good scenes there from the Noor Jehan starrer Koel. I added Tripmonk to my YouTube site but neglected to put it back on this one. So, I’ll be doing that sometime soon. Anyway, you don’t have my e-mail address? I sent you some e-mails a couple of months ago, hope you got them. I keep stuff in my Inbox forever, so I can always find people’s e-mail addresses (not organized enough to keep an “address book”), but I know most people don’t do that. I should post a contact address on this blog. I’ve opened a new e-mail account because the Yahoo one has been having some trouble (too cluttered? ), so I’ll decide if I want to post one or the other here. Thanks for the Zila Khan clip. That was very good! By the way, when my last computer broke in July and I couldn’t go online from home for a few weeks, I started digging into my old CD collection and I found my Best of Abida Parveen CD, which I hadn’t heard in years. (I think I had gotten it 10 to 12 years ago.) And I very much enjoyed listening to that again! Abida is great! Glad you liked Zila. I guessed that you would have already seen tripmonk, some of those clips look most interesting; when I have the time to watch them, there are so many that look interesting. Back to Abida, she is a permanent fixture of this festival and my sister always goes to watch her, although she says that since it has become more popular, it has lost something of its original flavour (seating on floor etc.). I hope I can make it sometime. There’s a clip of her singing in Sindhi as a young teenager. No, don’t post your e-mail here. I will look for yours in mine, I did get those mails, so it must be there somewhere. richard, naachgaana on youtube has subtitled several of my favourite songs, like this one from abhimaan: hope no one closes him/her down! Was it the Sajna saanjh..from the 1942 movie that you were referring about? Would love to hear about the rest too..I could write up a whole new one on that..:))Thanks again..
Hi, Ebenezer. No, actually, I was thinking of the one I posted a little later, this dance. This is an absolute gem..Just trying to get a copy of the film..The Net seems to be woefully inadequate on that..Thanks so much.. I chanced upon your blog and spent an amusing hour browsing through your various entries. I noticed that you don’t refer to http://www.rajshri.com as a source for films/clips (both old and new). Its a great source, if by the least chance you haven’t heard of it. I also noticed your mention of sufi music. So surely you must like Qawwalis? Perhaps you have done a write up already. One of my fav genre of music, especially the Qawwalis of Ustad Nusrat Fateh Ali Khan (though he is of a period later than that of your interest – I think). Good blog. And yes, I do like qawwalis. In fact, I’ve posted quite a few qawwalis from the old films that I generally cover in this blog these days. Regarding more contemporary sufi music and qawwalis, you are right that I don’t feel as inclined to get into that on this blog now, but as you may have noticed (or not :) ), I do enjoy posting clips by Abida Parveen. I haven’t posted much in the way of Nusrat Fateh Ali Khan, but of course, we all know who he is :) , and other people have posted a good song by him in the comments now and then. It was wonderful reading your blog. I just wanted to know if you can tell me somewhere I can find the movie Neecha Nagar. One of my friends suggested me for it as a must watch hindi classic. 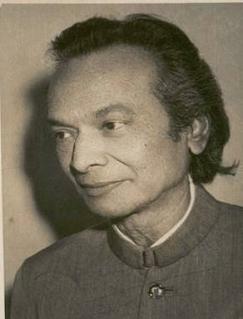 I saw your post on Kamini Kaushal. I will be glad if you can help me. Sriram and Pratheek, thank you for the kind words that you posted on this “About” page! Sriram, I hope you noticed that I just had to mention the Padmini post from your blog in my latest post on this blog. Your blog is interesting and eclectic. I will have to get back to it soon. Pratheek, I personally am not so great at recommending online sources for movies (if that’s what you’re looking for). I actually get most of my classic Hindi film DVDs from the shelves in the stores in New York City. I’ve found plenty in the DVD shops in Jackson Heights, Queens, and once in a while, I find something at a store on 28th Street and Lexington Avenue in Manhattan. There are a few other classic films that were sent to me by “Bolly blogging” or “Youtube-ing” friends (most often, Tom)… And then I find some freebies myself online. I have never actually bought a film DVD online! I am highly impressed by your blog and the fact that someone with your background could have so much feel for Bollywood and its music. I don’t know whether others have also mentioned it, but the dark background with faint white text makes it somewhat difficult to read. Would you consider changing the colour scheme? I have recently started writing a blog on old film music http://www.songsofyore.com/ which you may like to visit. AK, thank you the nice comments, much appreciated. Regarding your blog, I actually found it a few days or week ago via someone else’s blogroll and added it to mine. :) Yes, it is very well done, and I am delighted that it covers the ’30s to the ’60s, which seems about perfect to me. Hi, Richard! I am a Bollywood newbie and would love to know where I can find Jyoti (1981) with english subtitles (Region 1 if its DVD). I was curious of one song that has been remixed thousands of times and a few days ago pinpointed and found the original ‘Thoda Resham Lagta Hai’ music and have become borderline obsessed with the female enchantress’ character (Irani). I have scoured the internet and there is no shred of this movie anywhere until I stumbled upon your comments on another webpage. Please help me. Hi, Bawa. I will send you an e-mail to continue this discussion off the blog. Hello, Jay. Thank you for writing. I did receive your e-mail just a couple of days ago and am currently writing a response. (Your e-mail was not short, and my e-mails never are. :) ) You should get a reply from me soon!